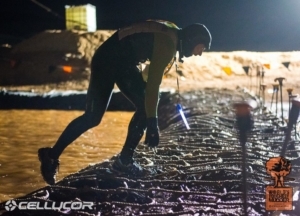 Mud Run Guide Kicks off the 2016 World's Toughest Mudder Coverage. 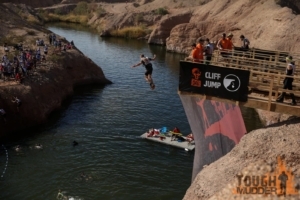 For all the World's Toughest Mudder Comprehensive Coverage visit our MRG World's Toughest Mudder Page. Some people tend to learn more from their mistakes than their successes. But while mistakes can be educational, they can also be a painful way to learn. That’s especially true if those mistakes come during an epic challenge like World’s Toughest Mudder. If you’re tackling this year’s WTM, or considering giving it a go in the future, you might avoid some common mistakes by heeding the following advice. 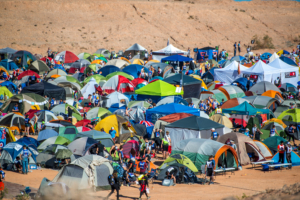 At WTM, competitors have a pit area where they can set up a small tent. Each year some people show up with no tent thinking it will motivate them to keep running. And, each year, most of those people are humbly packing up to leave around 11 p.m. Whether it’s having a place to get into a change of clothes (which you probably didn’t bring if you didn’t bring a tent) or having a fortress of solitude away from the madness to spend two minutes mentally collecting yourself, you’ll want to have your tent there, even if you don’t end up using it. With darkness descending upon New Jersey during the 2012 WTM, I found myself hanging upside down on the Dong Dangler. I tilted my head back to see how much farther I had to go and . . . then I heard a “BLOOP” as my expensive waterproof headlamp plopped into the frigid muddy water. I dove in after it, but it was gone. The next year I made sure to use a string to attach my new headlamp to my wetsuit. You’re going to burn a ton of calories during a 24-hour race. To keep your energy up, you need to refuel constantly. And one cannot live on gel packs alone. You need real food; food that not only fills you up but gives you a mental boost. Bacon, potatoes, donuts, pasta, cold pizza can all do the trick. The best thing to do is experiment with your food during long training runs prior to WTM to see how your body reacts to them. The last thing you need is to eat something that doesn’t agree with you on the course. It can be easy to remember to hydrate when you’re sweating under the sun. But it’s harder when you’re running at night, the air is cool and you’re not overheating. At WTM, if you wait to hydrate until your body signals it is thirsty, the negative effects of dehydration may already be setting in. Help delay fatigue and prevent cramping by keeping up on your hydration. Drink plenty of fluids even when you’re not thirsty, and be sure to keep your electrolyte levels up. Having a good pit area can save your race. But it can also sabotage you. 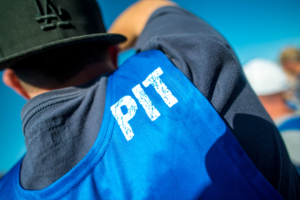 The comfort your pit provides can make it easy to linger rather than return to the rigors of the course. At your pit there will be food, water, and perhaps even cool neighbors to talk with. Leaving that for more pain and suffering can prove difficult. Give yourself a deadline – 5 minutes, perhaps – to get in, do what you have to do, and get out. Also, racing with a hydration pack and carrying some food can help limit your number of pit stops. For the third year in a row, WTM is being held in the Las Vegas desert. The word “desert” might make you think “hot,” but overnight temperatures around Las Vegas regularly drop into the low 40s in November. That, along with plenty of cold water obstacles on the course, means racers will be uncomfortably cold and wet around 2 a.m.
Get 10 or 12 hours into WTM, and you’ll no doubt be feeling the effects of the course. You might think that taking a rest, or a “halftime,” might recharge your body and help you finish strong. It won’t. If you take a lengthy break, every bruise you’ve received and every fatigued muscle fiber will stiffen up. Instead of finishing strong, you’ll likely be doing a zombie walk, if you’re moving at all. 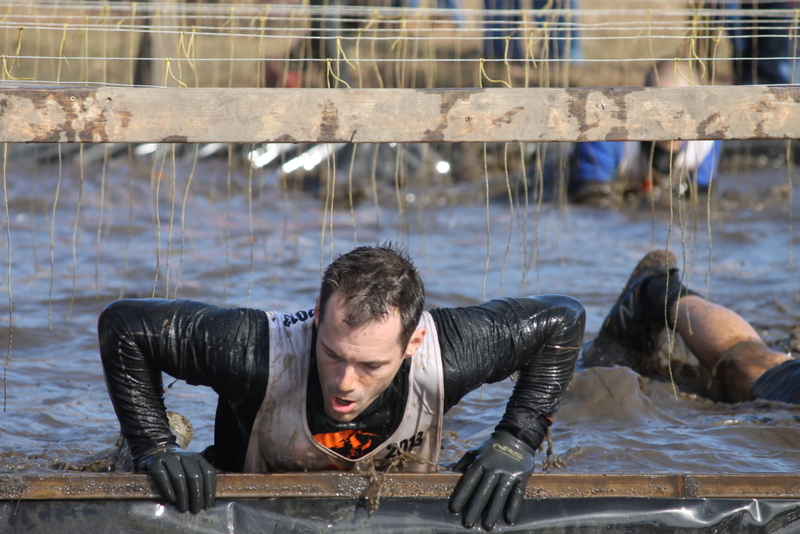 You might be beaten and battered, but if you keep moving, your body should stay loose(ish) until the end of the race. 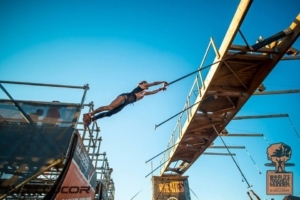 Tough Mudder allows each racer to have up to four support crew members in the pit area. This pit crew can warm up meals for you, let you know how you’re doing, help you with your wetsuit, and just provide a mental boost that comes with people cheering you on. Even if they’re not in the pit, seeing friends and family alongside the course cheering for you can be a big boost. But, keep in mind, it might be best to leave some loved ones at home if you think they’re going to encourage you to stop or rest when they see you hurt and tired. 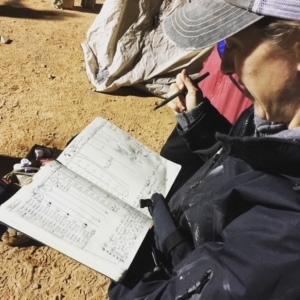 During 24 hours of racing, good strategy can prove more important than strong legs. Often racers will feel good during the day and set a fast pace. But six hours in, they start feeling tired with three-quarters of the race left to go and darkness setting in. Suddenly the temperature drops 15 degrees, there’s no sunbeams to reassure you as you run alone in darkness, and it becomes harder to see rocks or holes under your feet. 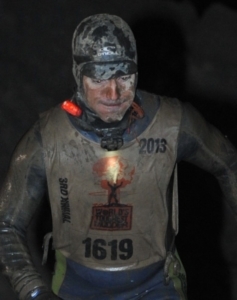 Half the race takes place in darkness, and how you handle the night largely determines whether you succeed or fail. 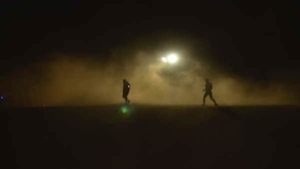 Running in darkness is a different sensory experience. Prepare yourself by doing some training at night. But remember . . . Your body needs sleep. It’s that simple. While nighttime training will help get you used to the sensory experience of darkness, depriving yourself of sleep won’t condition you to perform better during 24 sleepless hours. It will only weaken you. If anything, you need more sleep leading up to WTM so you’re well rested. You’re going to need it. Thank you. Appreciate the advice. Especially the “Just keep going” message.